Vertical Ecostrad VeeSmarts offer a streamlined heating solution for rooms with limited space. Finished in arctic white, these slim vertical radiators provide understated smart heating for a variety of interiors. The Ecostrad VeeSmart perfectly blends contemporary style and advanced technological control to provide an effective heating solution for all modern households. The vertical orientation of this version of the VeeSmart allows it to act as a striking room feature as well as a source of comfortable heat for your home. Vertical radiators can be used to create an attractive focal point but are also an excellent practical choice for rooms with an unusual layout or limited wall space. This VeeSmart has a classic arctic white finish that will complement any interior design scheme. 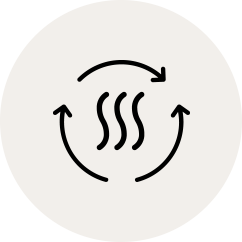 All Ecostrad VeeSmart radiators use thermal oil elements to provide a uniform spread of warmth throughout the heater and the room itself. These radiators use an electric heating element inserted into the base of the radiator to warm the thermal oil and comfortably heat the surrounding area. 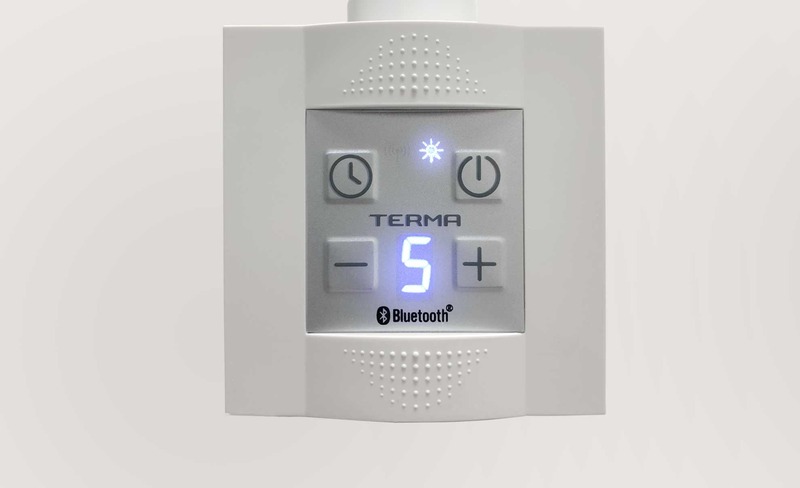 The Terma KTX 4 Blue heating element stands apart from other alternatives on the market as it includes its own thermostat and offers 24/7 Bluetooth control over your VeeSmart radiators. 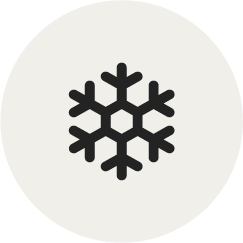 This means that every VeeSmart can be controlled individually and isn’t reliant on incorporation into a larger system as with a traditional central heating radiator. When the heating element draws power from the mains, the VeeSmart radiator will warm up your room with an effective and thoroughgoing combination of convection and radiation. Are vertical radiators as good as horizontal radiators? Vertical radiators are an excellent room heating solution, but as they’re a relatively new offering on the heating market, many customers are unsure whether they will heat as well as their horizontal counterparts. As all radiators mainly heat by warming the air within a room space, their shape does not play a large part in their effectiveness. As long as you choose a model with a wattage suitable for your space, it won’t matter whether you choose a vertical or a horizontal radiator. The only issues that tend to arise from fitting vertical radiators is when they are installed as part of a central heating system. Vertical radiators require the water from the pipes to be channelled upwards which presents a unique set of issues. Insufficient system pressure and incorrect installation are common causes of vertical radiators not working properly within a central heating system. However, as VeeSmart radiators are sealed units with their own integrated controls, these are issues you can conveniently avoid! Whether you decide to opt for a horizontal or vertical radiator should depend on how you prefer to use and position your radiators. Vertical radiators may be the best choice if you have limited wall space to work with, or if your room has an awkward shape or layout. As they’re taller than most furnishings, they’re also hard to block – a great solution if your room layout is prohibitive. Last but not least, vertical radiators look outstanding in any room on a purely aesthetic basis. Their minimalist, towering appearance is enjoyed by many looking to provide their interiors with a unique contemporary aesthetic. Horizontal radiators are still a fantastic space-saving alternative for rooms where you may have space beneath your windows. In most instances, they will fit snugly into these gaps, freeing up the rest of your room for furniture and storage solutions. You may also want to opt for horizontal radiators for the practical reason that they’re much easier to air your clothes on! Our Ecostrad VeeSmart electric radiators are designer models in more ways than one: each unit comes with an intelligent Bluetooth enabled heating element, allowing you to create bespoke 24/7 heating schedules for every area of your home. 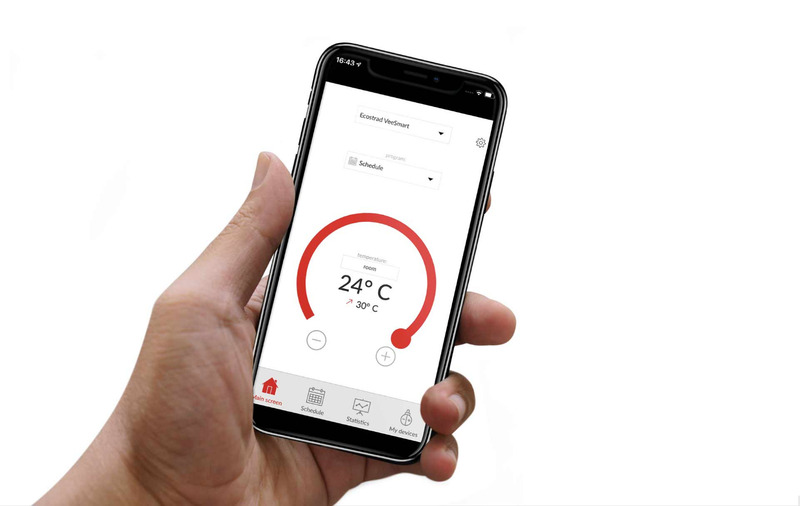 Simply download the free BlueLine heating app and pair the elements to your mobile device to start tailoring your heating around your lifestyle. In every home, there are primary areas that get used daily for long periods, and secondary areas that may only be used infrequently. The VeeSmart allows you to zone your heating on a room-by-room basis as each heating element can be programmed separately, so you use less energy heating infrequently used rooms and ensure that your main spaces are always comfortably warm at the right time. The BlueLine heating app works with Android 4.4 and iOS 6 devices – older software versions may not be compatible. 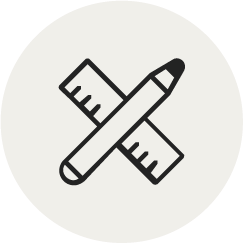 The Blueline heating app does not use an internet Wi-Fi signal to communicate any programming changes to your electric radiators – it uses Bluetooth only. 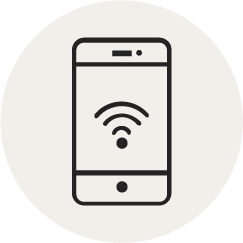 Bluetooth signals are short-range and require your mobile device to be within relatively close proximity to your heaters in order for any changes to be committed. While you’re away from home, you can still use the app to fine-tune your heating schedules to your heart’s content; however, these changes will only take effect once you enter the range of the VeeSmart’s Bluetooth signal. Installation of the VeeSmart is a fairly straightforward process for a professional electrician but should never be attempted DIY. It’s not supplied with a fitted plug because it must be wired into the mains of your home. When you receive your VeeSmart, the KTX 4 element will be supplied in the same box but will need attaching to the radiator body by your installer. Though you’ll need to hire a contractor in order to fit your VeeSmart, this should be a quick process and certainly much cheaper compared to extending your central heating system. VeeSmart radiators are suitable for use in bathrooms but care must be taken to ensure they are installed at least 1m away from any source of water to prevent damage to the finish. 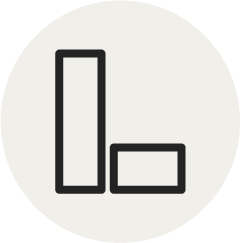 Many of our VeeSmart radiators are heavy and in most cases two people will be required to safely lift and secure the appliance. If you regularly dry towels and clothes on your radiators, it may be better to purchase a horizontal radiator. However, if you have your heart set on a vertical radiator but still want to dry the occasional clothing item, it is possible using the right accessories. Steel radiators can be used with magnetic rails that can be quickly installed onto the front face of your vertical radiator. Installing these accessories is as easy as sticking them to the radiator face and letting magnetic force do the rest. These accessories often require the vertical radiator to have a flat front rather than tubular columns to ensure even contact with the magnets; you also need to be aware that this will not work with non-magnetic radiators made of materials like aluminium. Fortunately, the vertical VeeSmart fulfils both of these criteria, so you can still dry clothes on your radiator if you so choose. Please be aware that we do not sell magnetic rails – you will have to source these from another retailer. 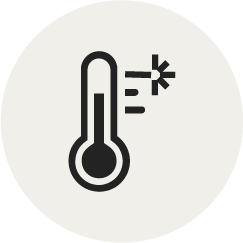 Never dry materials on the VeeSmart that are temperature sensitive. This can cause damage to the clothes and the finish of the radiator. Don’t dry any fabrics with running dyes (e.g. new towels) on the radiator as these can bleed and cause permanent discolouration to the white finish of the VeeSmart. Drying chemical-soaked cloths is also prohibited as this can also cause discolouration, or at worst, corrosion of the finish. The VeeSmart’s 8 Year Warranty on the powder-coating does not cover any damage caused by failure to adhere to these rules, or from the use of any 3rd party accessories. Though the VeeSmart is suitable for clothes drying, never assume that this is the case with all electric radiators: many must be kept completely free from obstructions to prevent them from overheating. The VeeSmart has an enclosed body and a thermostat that isn’t easily obstructed by hanging fabrics, whereas other products may have subtle venting and thermostats that are less easily discerned. Before drying anything on an electric radiator, always check the manufacturer’s guidelines beforehand. Erring on the side of caution can prevent a serious hazard from occurring in your home. Ecostrad are a manufacturer with a simple philosophy of providing customers with reliable and efficient heating products to suit all budgets. Their extensive industry experience has afforded them with a practical insight into customer needs, which is why they provide solutions with a range of control options for improved energy saving potential and convenience. Ecostrad products incorporate precision digital thermostats and 24/7 programmers so you can manage your home’s heating with a greater degree of accuracy and keep energy bills to a minimum.